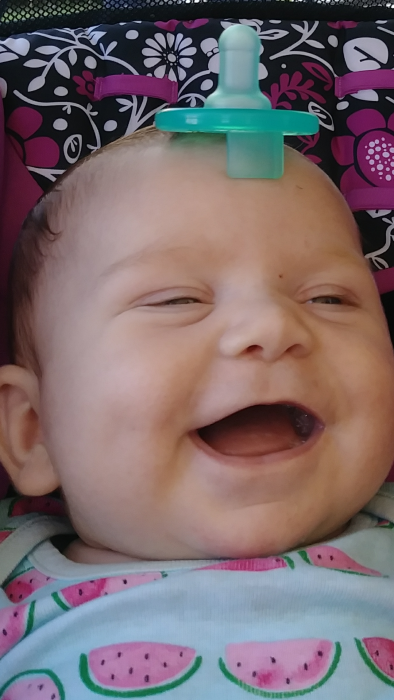 Autumn R. Henry, 2 month old daughter of Travis P. Henry and Sara A Phillips passed away unexpectedly on Wednesday, October 3, 2018 at her home. Autumn was born in Lorain on July 16, 2018. A healthy and vibrant baby girl, she made everyone smile. In addition to her parents, Autumn is survived by her sister Serenity N. Henry, her brothers Malachi X. Henry, Cameron A. Davies, Chase J. Phillips all at home. Also mourning her are m maternal grandparents, Forrest (Dusty) Phillips of Grafton, Cindi Phillips of Lorain, paternal grandparents, Joe (Valerie) Lakatosh of Elyria, her uncles, Forrest Phillips Jr., Scott Collins, Justin Henry, John Phillips, Ron Swartzel, her aunts Sierra Osbun, Marie Collins, Lindsey Bartram, Amber Phillips, Rianna Plas, Danika Phillips, and several great uncles, great aunts, cousins and a host of extended family. Preceding her in death are grandparents Mark Osbun, Lester & Christine Phillips, Jack & Patricia Schroeder, and David Henry. She was also welcomed into heaven by her uncle Jeromy Phillips. Friends may call on Monday, October 8, 2018 from 4:00 pm until 7:00 p.m. in the Schwartz, Spence, Boyer & Cool Home For Funerals, 11124 W. 5th Street, Lorain, Ohio. Services will follow visitation at 7:00 pm with Rev. Ervin Jones, pastor of the Fuller Road Community Church, officiating. Burial will be in St. Peter Cemetery in North Ridgeville at a later date. Contributions may be made to the family through a go fund me account or the funeral home website.